White Housings, 40° Duralux 2000 Lumen 20 Watt LED Flood Light. WOW! For $99 these things are nuts! We have now convererted most of our fleet and have spec'd these to be used on all new fleet trucks when we order them. We got ahold of Rick in wholesale accounts and were able to get a direct deal on them that works perfect! 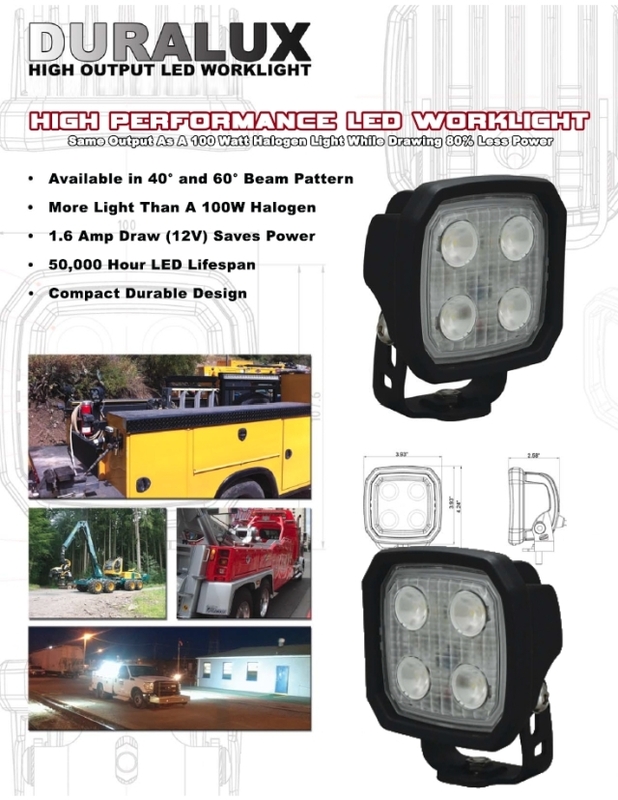 Click the button below to add the White Housings, 40° Duralux 2000 Lumen 20 Watt LED Flood Light. to your wish list.